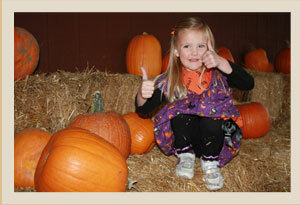 The fall season just isn’t complete without a hayride to a pumpkin patch, and we at The Pumpkin Peddler offer a memorable ride through our tree farm for you and your family to enjoy. 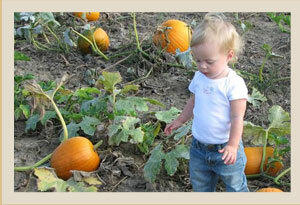 There are thousands to choose from and your children can pick their own pumpkins right in the field. Your family can enjoy other activities as well, such as a pumpkin maze, face painting, and guessing the weight of a painted pumpkin. A craft store is also on site where we offer Indian corn, gourds, mini and pie pumpkins straw bales, corn stalks and more for your fall and Halloween decorating needs. Enjoy a cookie and some apple cider and your family outing is complete!